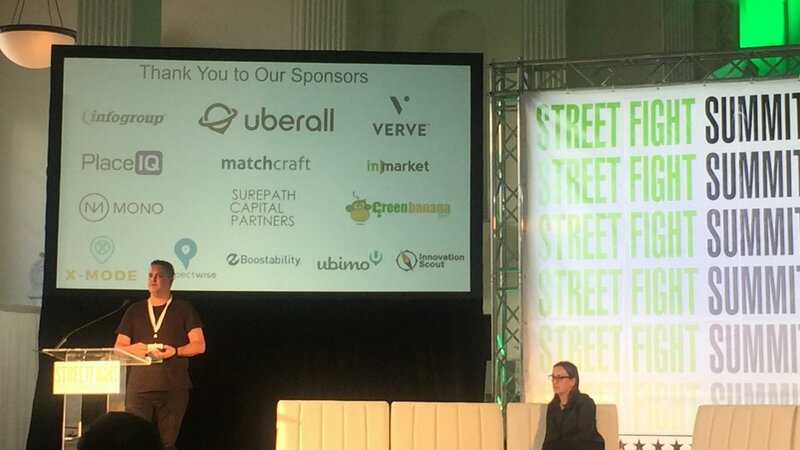 dataPlor’s founder Geoff Michener spoke at Street Fight Summit West last week about redefining how companies approach emerging market local business data and why it matters. dataPlor was featured as an up and coming startup along with five other companies disrupting their industries and solving big problems in innovative ways. Geoff’s talk on the current state of data consumption, and how dataPlor’s novel approach combining software and on-demand human workforce is changing the game for companies, had the conference buzzing and drove a ton of interest. Almost everyone in the developed world, particularly Americans, is reliant on readily available data and information via the internet and mobile apps. Hungry? Check out Yelp to find bbq nearby, but with a trendy ambiance - they have photos too! Lost? Use Google Maps to figure out how to get to said trendy bbq joint. Stressed? Google my Business for local thai massage. Even when we have word of mouth referrals or know a business because it’s on our commute to work, we rely on information from the internet to confirm the business can suit our needs as a consumer. It’s second nature for many of us, especially millennials. According to a recent study by GE Capital Bank, shoppers are 75% more likely to visit a store after confirming its information online. This availability of information is important for both consumers and local businesses themselves. This “data on demand” experience is starkly opposite of what consumers in emerging markets experiences. In high growth emerging markets like India, Mexico, and Brazil, only 12% of small to mid-sized businesses have an online presence, making local market information extremely difficult to find for consumers and companies looking to service them. These emerging market businesses are not exempt from needing to adapt to digital disruption. Consumption rates in these markets are set to sky-rocket over the next 10 years, meaning more shopping per individual and more opportunity to capture that spend as revenue. E-commerce transactions and smartphone ownership are already hovering between 50 and 70% penetration in these economies and growing. The 88% of small businesses not on the internet are in trouble if they don’t build out a digital footprint. As emerging market nations become consumptive economies like that of the US over the next decade, small business data and insights will be a necessary asset for industries of all kinds, and a requirement for their own success. Despite these strong indications of growth and opportunity, no traditional companies have invested in finding clean emerging market data. Data collected from government registries is outdated (Mexico’s small business registrar hasn’t been updated since 2012) and even advanced companies like Google rely on bloated, antiquated processes such as mailing surveys to collect small business data. The result is a big problem that needs to be solved. dataPlor takes a three-step approach to collecting small business insights efficiently and accurately like no one else in the industry. Hire a network of thousands of Explorers - We have trained and deployed thousands of on-demand field representatives (we call them Explorers) active in 30 emerging market countries. Their intimate knowledge of cities, language, and customs make them the perfect local “boots on the ground” workforce. Equip them with field-ready software - Our mobile app collects exact geo-location information and up to 25 attributes on local businesses. It reduces human error but maintains flexibility. Deliver Premium Insight - Because we combine the best of human cognition and technology we can deliver the exact insight and information our clients request. Activating an in-field workforce for data collection means our clients can see what only locals can. This includes dynamic information such as pricing, product location, contact information, etc. Simultaneously, we help these small businesses get put on the map and become part of the digital ecosystem that helps local businesses thrive. For more insights into the opportunity in Emerging Markets, check out this column Geoff wrote for Street Fight Magazine last month. dataPlor’s CEO and Founder, Geoffrey Michener, has been chosen as a speaker at East Meets West 2019. dataPlor’s achievements in Q3/ Q4 2018 have laid the foundations for Geoff’s talk. Recently, dataPlor has recruited and trained over thirty-five thousand “Explorers” in Mexico, who use a custom-built mobile platform to record business data. Dataplor’s CEO and Founder, Geoffrey Michener, has been selected to attend Wolves Summit as a featured start-up guest and speaker.